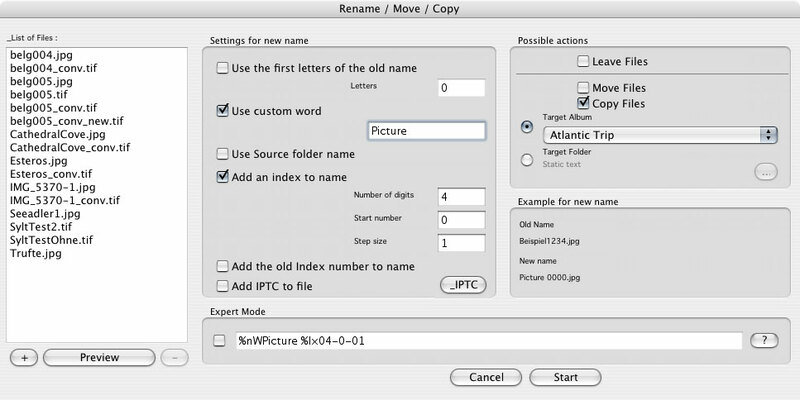 The SilverFast Renaming function allows to automatically rename, move and copy a great number of images in an easy way. Furthermore, this SilverFast Renaming feature enables the user to directly import images from digital cameras or memory cards like CompactFlash cards using a card reader into the Virtual Light Table (VLT). Special meta tags may be added from the EXIF or IPTC lists. In addition these meta tags within the EXIF and IPTC lists are administered with ease. Note: Any SilverFast DC and SilverFast HDR version features this tool.